All ready for the Big day!! 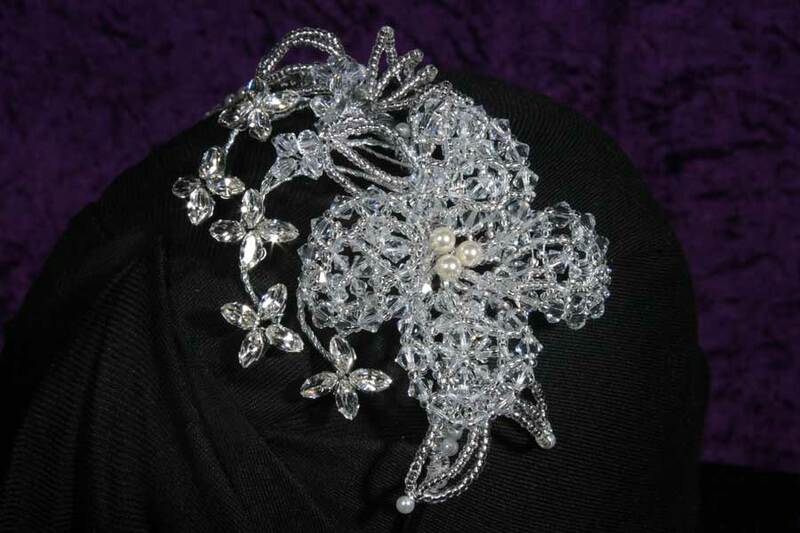 1940’s debutante side hair embellishment of beautiful Swarovski Xilion Japanese embroidery lily, pearls, silver crystal seed bead French embroidery leaves and Swarovski crystal Navette stones fashioned into silver flowers on a silver plated band. Just a note…………. Designers can replicate styles and designs but due to copyright we are not allowed to copy the exact design, therefore something will always be different. I have created exact designs in the past but clients have to pay additional costs to the organisation to ‘borrow’ their design.